Since the Vans RV-10 kit is just that a "kit" and does not include some other items that need to be decided on during construction like engine, avionics panel, lights, interior and many other option from Vans and other third party vendors. In addition, there are some items that come from Vans that just are not up to par, do not look good, or functionality is poor. For this, there are many items that I have replaced from the factory standard. Below are the ones that I have decided on. There are quite a few different options for rudder trim, some aftermarket and some designed by builders themselves. As i combed through all the many ideas, I decided to take ideas from other designs and do my own. Here is the link to my rudder trim construction. Here is a link to the pics of the rudder trim construction. Now that I have started the wing construction, you have to start thinking about the avionics to be used. This is because things like antennas, pitot, and AOA are located in the wings. As of now I have am proposing to go with a Advanced Flight Systems to be designed by Stein Air. I decided to go this route after reviewing many many variables and this one seemed to be the best fit for me. I was looking for and EFIS that is capable of full IFR in IMC conditions, autopilot with dual axis control, engine monitoring, and GPS to name a few. Along with the fact that AFS integrates all this into their systems in addition to some fairly reasonably pricing. Here is the avionics list so far, will be updated as construction goes. Advanced Pilot two axis controlled autopilot. The ADVANCED Pilot two axis autopilot fits in a standard 2.25" round instrument hole (Flatpack Avialable), and has EFIS Controlled Heading Bug Mode, NAV Mode, GPS LPV Capture Mode, Altitude Bug Mode, ILS Capture Mode, and Vertical Speed. It has a built in Digital Slaved Directional Gyro, Horizontal & Vertical Steering, and a Trim Sensing Pitch Servo that Enunciates for trim. To mount all the avionics, they will be going in a Carbon Fiber Panel made for the RV-10. The one that I have chosen is made by Aerosport Products. Three removable panel inserts. One that can accomodate two side by side EFIS, one for the center communication stack, and one for the right seat. Additionally, the lower center console also has a panel insert. Two preformed mounting locations for standard air vents. Air vents are not included. You may use any vendor's air vent, but we do know the ones from SteinAir work well. An area to locate multiple switches in front of the pilot. This area will also accomodate a Vertical Power VP-200 switch. Preformed locations for standard throttle, mixture, and manifold pressure controls. If you plan on using the option Throttle Quadrant Insert, these can be used for other functions or covered with panel (not included). An area in front of the right seat, in which additional switches or environment controls can be placed. 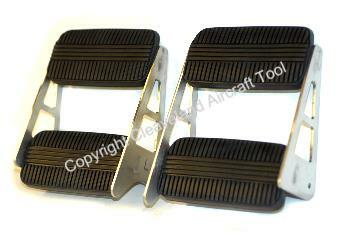 Adding to the console will also be a product from Aerosport Products, the Throttle Quadrant Insert. The Throttle Quadrant Insert is an optional module that is an insert into the lower center console of the instrument panel. For lighting I was looking for one company that can supply everything I am looking for so decided to go with AeroLed. lights into the wingtips as normal, instead I chose to utilize a kit from Duckworks. They have a kit that installs into the leading edge of the wings. There will be one in each wing. When looking for interiors for the RV-10 you will find many companies that have some very good products. I have spent a bit of time putting down items that I would like to see in my interior. After seeing the products that Geoff Combs offers at Aerosport Products, I have to say that I was quite impressed and plan on using many of his interior products. The other two are Flightline Interiors and rear seat backs from Cleaveland Tool. the little things like cup holders, lights, air vents and a video system. For side panels and ceiling I am hoping to have a soft leather covering instead of plain plastic and headliner material. Here are the items I am planning on installing as of now which include the side panels, center counsel, overhead counsel and headliner. Following are some samples of what I am looking at. Another Item that I am using has to do with getting air to the overhead console. Aerosport has a pilot controlled vent system that controls the air flow from the NACA vents to the overhead console. The overhead console will also have ball air vents from Stein Air that can be open and closed individually, but for cold winter days, want to be able to stop all air flow into the overhead console. This is done through a NACA control system. Another Item I am going to change out is the factory option on the door latach, latch handle and the exterior door handle. For the door latch system itself, I decided to go with one from Sean at Plane Around. He has a three latch system. The third latch mechanism will tighten the center of the door against the seal with proper adjustment. Along with the door latch, I am chaning out the strut brackets and going with the aluminum ones from Plane Around. Since I am using the McMaster door seals( part #1120A411), these strut brackets allow the proper clearance for these seals. For the exterior, I wanted a flush door handle so chose to go with the one manufactured by IFlyRV10. The factory interior handles are also very ugly. So I had a couple of options, one that comes from Aerosport that is just a plastic cover. Like it but wanted something that would hold up a bit better. So I decided to go with the one from JD Air. Since I live in North Dakota where we have some very cold winters. I wanted some sort of insulation that not only can help with noise, but also want to make sure it helps the interior stay at a comfortable temp in the winter. For this I decided to go with a product made by Soundex Products. Soundex is a premium aircraft soundproofing / insulation that incorporates excellent vibration damping and noise absorption properties. I replaced the factory rudder pedals with one I purchased through Cleaveland Tool. These are made of stainless steel and have rubber treads on top and bottom. They bolt in place of the factory ones with no customization needed. The brake and fuel lines that come with the kit are to be constructed of aluminum tubing. I am not a big fan of this and decided to get customer ones made out of stainless braided hose. I had Bonaco make all the fuel lines to my specs. They already had a set for the brakes that fit the RV10. However, these do not come with lines that go from the tunnel to the outer fuselage so I just had Brett make me some. Click on image to see more pics of custom lines. The factory fuel again is something that I did not like. So I went to an aftermarket company from called Andair. The model number that fits the RV10 is the FS20X7T and also get the 6" extension. Vans must have realized Andair option is much better as they now sell it on their website. There are a few antennas that are needed for Com, VOR and transponder along with the ones for the GPS. For the transponder I chose the Monopole version, for the VOR antenna, I went with Bob Archer one that goes into the wingtip. The one for Com I chose the comment bent one that will be mounted to the bottom fuselage alogn with the transponder one. The RV-10 does not come with any sun visors so I decided to add the ones that Rosen makes. Have chosen to not use the factory intersection fairings and instead go with a set made by Jan at RVBits. From what everybody is saying, the workmanship is excellent. Also from RVBits, I am purchasing Jan's Carbon Fiber engine plenum. This plenum looks great and is very light. I have forgone the wheels that come with the factory kit and chose to purchase others based on others recommendations. A perfect write up on this is done by Tim Olson regarding his Experience. You can see the write up here. So based on this, I purchased the front axle from Matco, Part NW501.25. Also from Matco you can get the front wheel replacement, part number WHLNW511.25. For all the tires and tubes, I purchased them from Dresser. Front Tube get 500-5 Leakguard Butyl Tube with the TR-67 Valve, Main Tubes get 15/600-6 Leakguard Butyl with teh New Easy Valve, Front Tire 500-5 6-Ply Aero Classic and for the mains 15/600-6 High Performance Treads. In addition to these for the tires and wheels. Get a set of the Axle Extensions from Cleavelend Tool. There have been a numorous amount of problems with the wheel fairing attach brackets so I chose to get a replacement set from Plane Around. Have many of Seans items and they look great. An addition to the regular seat lever to help easier operation. Purchased from IFLYRV10. Purchased a parking brake valve kit manufactured by Matco. Purchased the whole kit that comes with everything for installation from Airward. 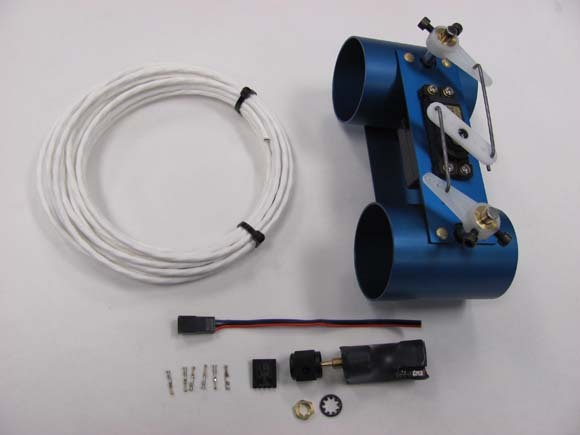 The RV10 kit does come with a basic tube for a pitot. Again, this is one of those items that is just not satisfactory in my opinion, plus I wanted one that is heated in case of IMC conditions. 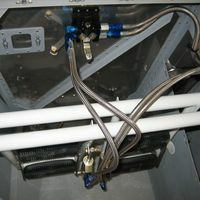 So I chose to get the Heated Pito tube and mounting bracket made by Gretz, which now has been sold to Angus Aviation.